Carpeting is one of the major investments in any home, so it is therefore important that it is maintained correctly to avoid premature wear. Take the gamble out of choosing a carpet cleaning company. With our technicians’ combined experience of over 110 years, and as full senior members of the National Carpet Cleaners Association for the past thirty nine years, IICRC accredited and the Woolsafe Organisation, you can be assured of our credentials. You can have a beautiful carpet and a healthy environment at the same time. 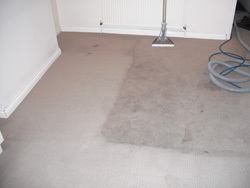 Our specialist technicians and powerful equipment will clean your carpet for maximum removal of soil and contaminates. Your carpet will be beautiful and you will breathe easier. 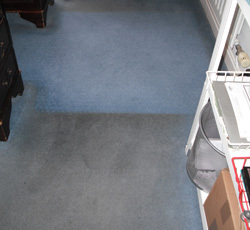 We offer seven different cleaning methods from deep restoration hot water extraction to Dry Extraction and Hand cleaning methods depending on the type of carpet, degree of soiling and staining. For all natural, synthetic woven and non woven carpets and carpet tiles, we have the correct method to restore colours and beauty, removing deep down soiling, bacteria, dust mites and dander from your valuable investment. Co-op Quadrant, Kelaty Rugs, Carpet Right, Marks and Spencer, Fishpools, Clement Joscelyne, Hatfields and over 30 independent retailers. Carpet re-fitting and repairs carried out - to include re-stretching, adaptation, re-tufting and accessories supplied as required. Our carpet cleaning methods are rated by the Good Housekeeping Institute as the most effective cleaning method giving it a "5 Star" rating for cleaning results and least rapid re-soil. Stain Protection treatment that will protect carpets from new or following cleaning, resisting soiling, water and oil-based spills. Establsihed in 1978, fully trained, experienced, polite and friendly technicians will advise and assist you. Rapid drying technology, enabling furniture to be put back as soon as possible. Our carpet cleaning methods as members of Woolsafe are recommended by the British Wool Marketing Board, Wools of New Zealand and many quality manufacturers including Brintons, Axminster, Adam, Ulster, Woodward Grosvenor, Bronte Carpets, Couristan, Edel, Telenzo Carpets, Whitestone Weavers, Wools of Cumbria and Jorgus Carpets. 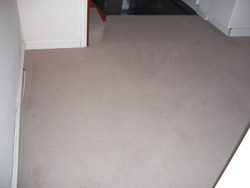 I was really impressed in particular, with the way the hall carpet had all the stains removed."